Technology has a huge impact on nearly every aspect of our lives, constantly making everyday tasks easier and more efficient. Real Estate is no different and whether you are buying, renting or selling a home, there are many exciting and innovative apps that can help you with the process. Apps can help you calculate mortgage payments, check out neighbourhood facilities, get interior design inspiration and so much more! There are thousands of resources available that can live right in your pocket. We love these new apps as they give clients the potential to be more aware than ever before. A multitude of information is available to them in real time so that they can ensure they are making the right choice when buying or selling. At Robinson, we are happiest when our clients are happy so we welcome new technology that allows our clients to stay well informed. Here is a short list of my top 11.
maps to explore properties in different locations. If you download just one app to help you with your property search, we would recommend it be this one! Similar to Realestate.com.au, Domain is another one-stop-shop for all your property needs. One of my favourite features is the inspection planner. 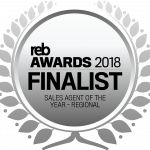 If you are looking to buy or sell, you can simply shortlist your favourite properties, and inspections and they will be arranged in your planner. 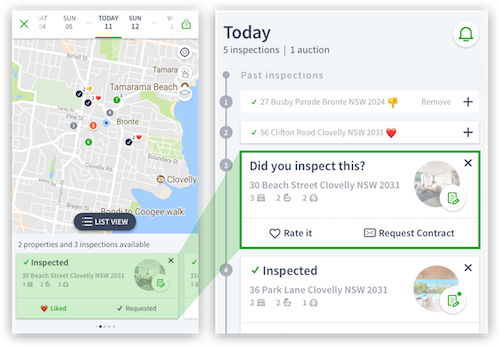 Quickly get an overview of your daily inspections and switch to map view to get a better understanding of where your inspections are. Keep track of your favourites by rating properties after you visit. Domain’s Inspection Planner makes the busy time of renting or buying so much easier! Access property articles, tools, tips and sold data so you’re in the know. 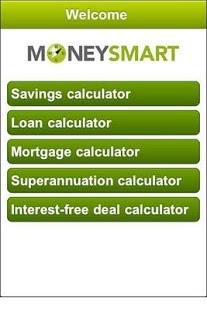 The MoneySmart Financial Calculator can be an invaluable tool for users who are saving to buy a home or for those with an existing mortgage that want to see it gone as soon as possible! Users can input information about their finances and change the terms to see what impact a change in interest rates or repayment time frame would have on the balance of the loan. The savings calculator can be used as a guide for saving a deposit. On the downside, this app does have limited features so can’t solve all your problems but it is easy to use and anything that helps you get closer to your property goals is a win in my book! 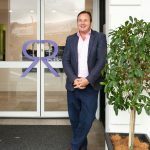 This app is perfect for first home buyers who are bogged down in the world of government grants and concessions. Users answer questions to get an assessment of which grant they are eligible for and how much they could receive. It’s that simple! 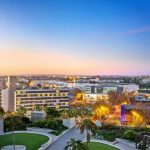 I think we can all agree that one of the most important factors of buying a new home, is making sure it’s in a suburb you and your family will love. Before you buy a home, check out the AroundMe app to make sure you are close to the things that are important to you. For me, that is good coffee within walking distance from my front door. The app shows a guide of everyday essentials like ATMs, petrol stations and restaurants and ranks them by distance from the user. This is an app that you can get stuck on all day if you aren’t careful. It includes a vast library of stylish photos that are a great starting point for design inspiration. The search can be filtered for specific trends, rooms or locations and users can create ideabooks to store their favourite pictures. Imagine what could be with the Houzz App. This is one of my favourite apps on the list as it is just… Fun! 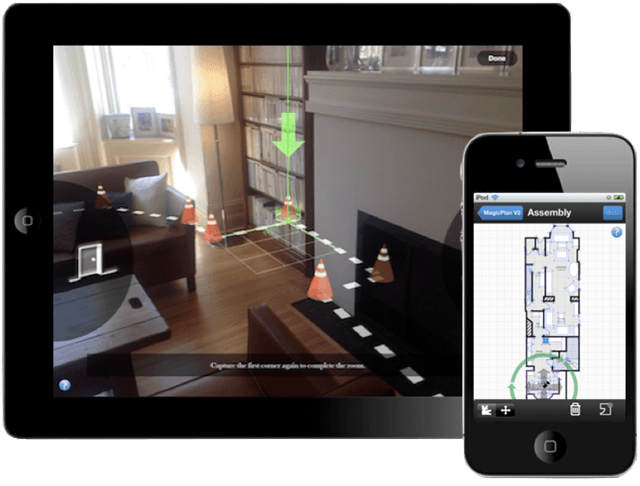 With its augmented reality technology, magicplan lets you create your floor plan within minutes. 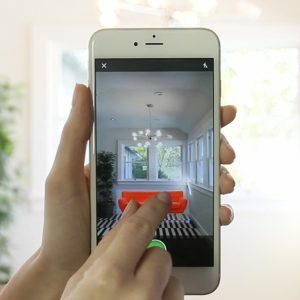 Capture the rooms with your phone camera while walking freely. If you’re looking to buy, create a magicplan floor plan at an open home and take your phone home and play around with all the different versions of what you can do with the home with the augmenting and annotating featuring. Then share your plans with loved ones for their thoughts before making the decision to buy. MagicPlan helps you create a floor plan in minutes! This app is an excellent example of technology saving time and making life easy! It allows users to trial paint colours from well-known brands digitally, saving renovators from collecting reams of physical colour swatches. Take a photo of the area to be repainted and either use the auto-fill function or colour in the area manually to get a preview of how it will look. My Place is perfect for those that are renovating before the sale of their house or those that are thinking of buying a new home but want to check out its potential street appeal. This is another great app if you are looking to buy or rent a commercial space, powered by Domain. With its extensive database of commercial spaces around Australia, you can fulfil your dream of starting your own business in no time! Powered by realestate.com, this is a similar app to their other one in terms of features, but this one is for commercial real estate. 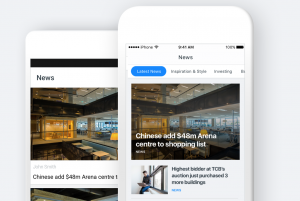 It has a nifty feature powered by Australia’s leading news sources like The Australian and The Herald Sun that has all the latest commercial property news, tips and guides. 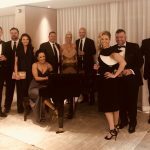 Start your business sooner with RealCommercial.com. We are living in the future and we have certainly embraced the technology that is making house hunting and selling easier. 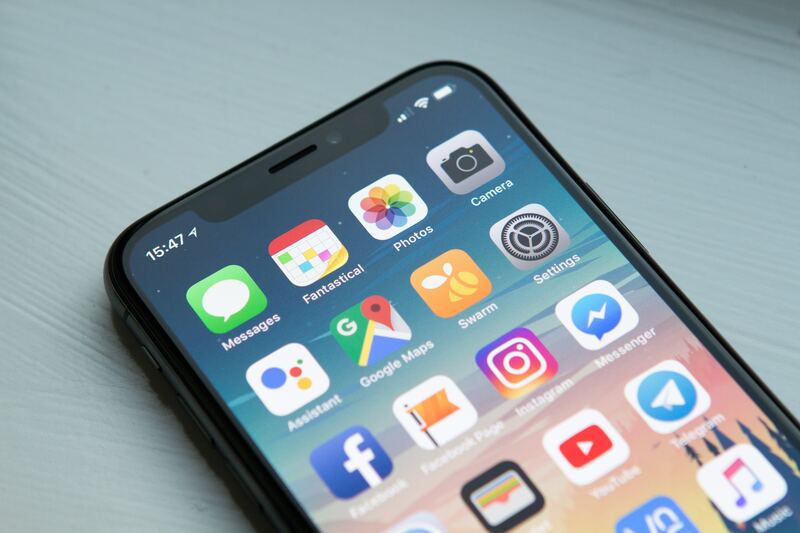 We encourage you to have a play around with some of these apps if you are buying, selling or renting so that you know you are getting as much information and knowledge as possible before making your final decision! 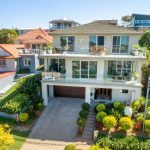 Please contact us if you have any questions about this article or the Real Estate market in Newcastle, we are always happy to help.